Leash-reactivity is characterized by a dog who pulls, barks, snarls, growls and shows other signals that are seemingly aggressive towards other dogs or people while on leash only. Many people speak of leash-aggression but that is an incorrect term. We distinguish sixteen different types of aggression and 'leash-aggression' isn't a valid term. A leash doesn't cause aggression. Dog aggression and leash-reactivity are distinctly different issues. Leash-reactivity can be related to aggression but is not the same thing. A leash-reactive dog can be perfectly fine off-leash amongst other dogs in a day care or dog park environment. In terms of dog aggression we are usually dealing with intent; meaning the dog has the intention of hurting, harming or injuring another dog. However, most leash-reactive dogs do not have the intent of getting into a fight. We can distinguish two main causes of leash-reactivity: insecurity and frustration. Most leash-reactive dogs are insecure about the presence of other dogs. 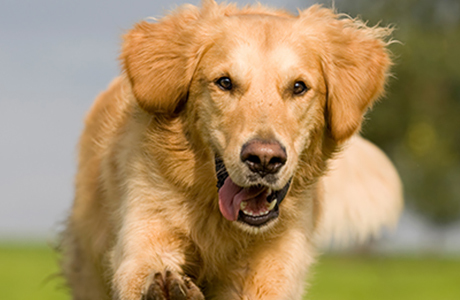 When dogs are loose they have the ability to communicate with each other through movement and body language. Insecure dogs, that are unrestrained can communicate their insecurities with subtle body language signals and other dogs will—if they are balanced—respond to those cues by giving the insecure dog space to become comfortable. In addition, dogs under distress—and animals in general—choose between a fight or flight response with regards to what they fear. By restraining a dog on a leash we don't just limit movement and body language communication options we also make a flight response impossible, which leaves a dog only one last option to deal with its distress--a fight response. Insecurities can stem from genetic disposition, a lack of socialization or being dominated by other dogs. Insecurities, if left unchecked, also increase over time. If a dog consistently shows signs of insecurity about approaching dogs but the handler doesn't see (or ignores) those signs, at some point, a dog reaches its limit on how much it can tolerate resulting in an outburst. Especially when normal communication consistently failed to result in stress relief a dog will try a different approach. Through posturing—illustrated by barking, growling, pulling, etc.—the dog communicates to the approaching dog or person that coming closer is not a good idea. If the handlers subsequently pull the dogs apart to avoid closer proximity, the dogs learn quickly that this behavior gets them what they wanted all along—their space respected. The more often this happens the dog will start skipping over the more subtle signs of distress and go straight to the more extreme behavior because it works better. The second cause is extreme excitement which leads to frustration as they are restraint by a leash. The energy that accompanies this frustration usually looks quite aggressive although that is not the dogs intention.